Masters Planning: Translink's 2013 Base Plan: A lesson in contrasts: "What they've stated as 'financial challenge' should really be translated as 'political failure'. 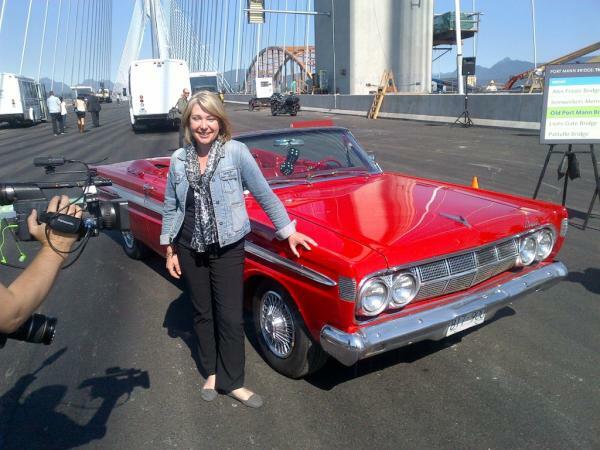 The fact that our Minister is posing with car, on the world's widest bridge (at 65m wide...last holder of that title was only 49m wide), at a highway expansion project well into the billions of dollars, and yet we can't find the money to provide equitable bus service for our region shows where this government's priorities are. This is unacceptable."